After numerous reviews and shared opinions, about this product, I finally can share mine, too. 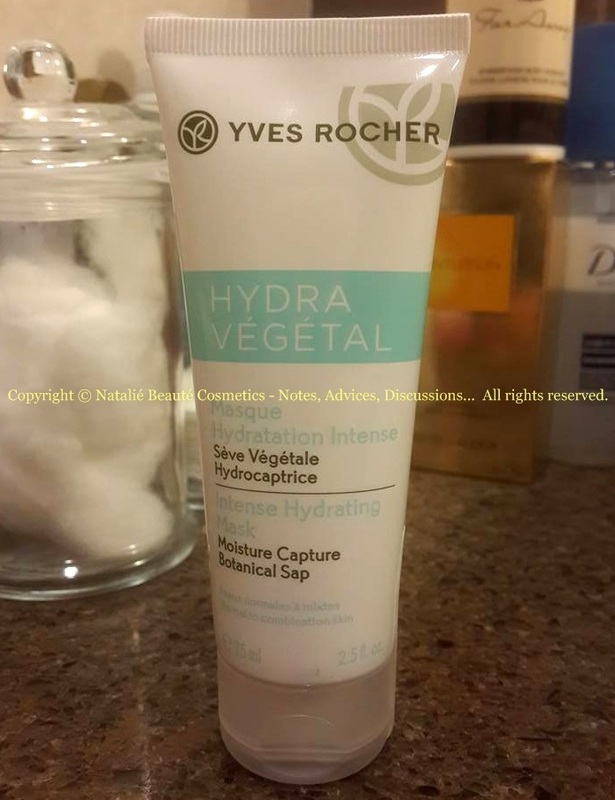 INTENSE HYDRATING MASK Moisture Capture Botanical Cap is face mask from HYDRA VEGETAL line by Yves Rocher. 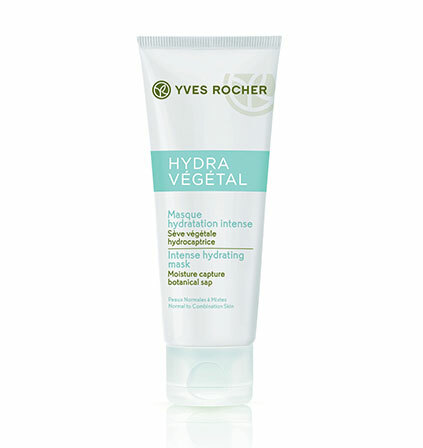 HYDRA VEGETAL line is designed for bringing necessary moisture to Normal / Combination skin. As part from this botanic line, INTENSE HYDRATING MASK is meant to bring enough moisture and nourishing care. Intensely moisturized and radiant skin. A radiance boosting effect for thirsty skin! 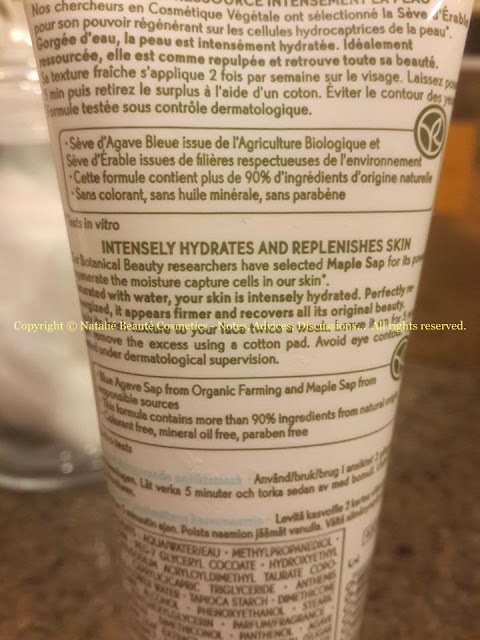 The Intense Hydrating Mask restores light and freshness to complexion, thanks to the proven action of Botanical Maple Sap on the moisture capture cells. Result: skin is left supple, plump from inside and complexion recovers its radiance and freshness. The Plus: a moisturizing gel texture." Saturated with water, your skin is intensely hydrated. 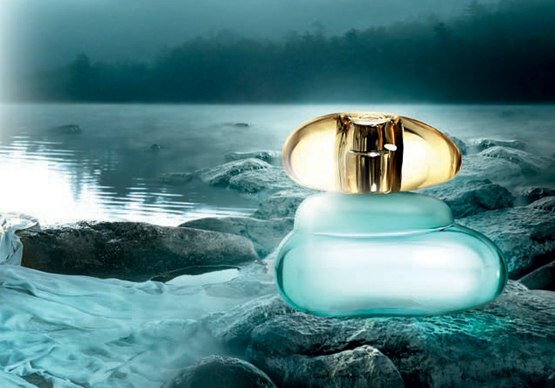 Perfectly re-energized, it appears firmer and recovers all its original beauty. Apply its fresh texture to your face twice a week. Leave it on for 5 minutes, then remove the excess using a cotton pad. Avoid eye contour. 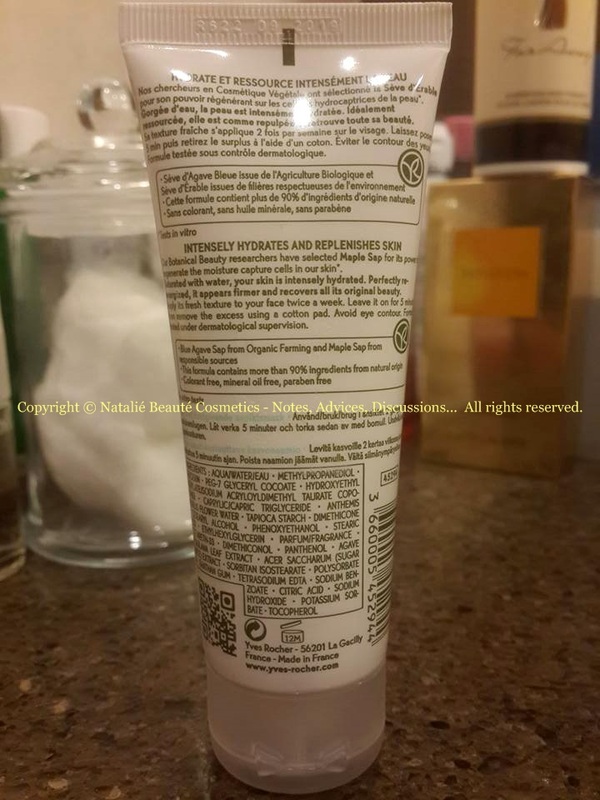 Formula tested under dermatological supervision. - Blue Agave Sap from Organic Farming and Maple Sac from responsible sources. 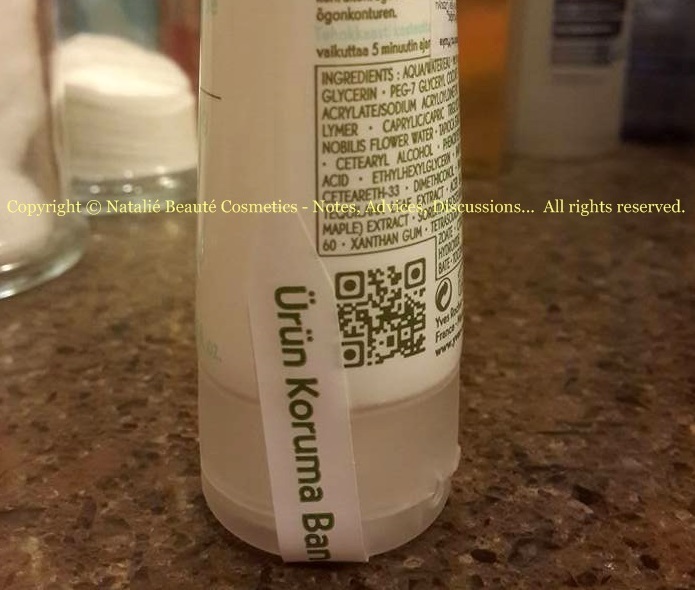 - Colorant free, mineral oil free, paraben free"
Skin is filled with water, intensely and lastingly moisturized, as if plumped** and radiant with beauty! Key Botanicals: maple sugar, agave sap, betaine, organic shea butter, organic aloe vera gel. ** In vivo test by raman spectroscopy"
The mask smells very fresh - like wet herbal bouquet, wet grass and soil, after rain storm, and most precisely, it reminds me compilation between these two perfumes, which I reviewed already month ago - THUNDERSTORM and WET GARDEN by DEMETER FRAGRANCE LIBRARY. The texture is gel like - white, semi-transparent. It applies very easy on the face and doesn't leak all over. It's better to apply it with fingers, not brush (in case, some ladies like to apply all masks with brush; the traditional flat mask brush is more suitable for DIY masks). 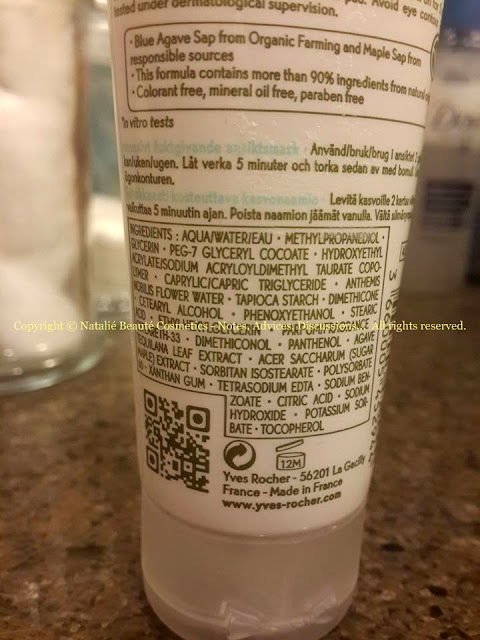 You apply it and after 5 minutes, you must swipe it out with cotton pads or absorb it with napkin. I prefer to wash it out with cool water. After the procedure, you feel your skin more nourished. The dry zones, you feel moisturized, the oily zones - oil-free and also moisturized. This mask put the different zones in balance. It's good to use it from time to time, to refresh and moisturize your skin, to spoil yourself. Small plastic tube, sealed outside, not inside. Very good product, maintaining the balance of your skin. Especially good for Combination skin. I find it good in this level, for now. But, if you need mask, to help against other serious problems, this one can't be enough. Anyway, give it a chance and you'll see how it will work for your skin. Good product, for your skin care routine.